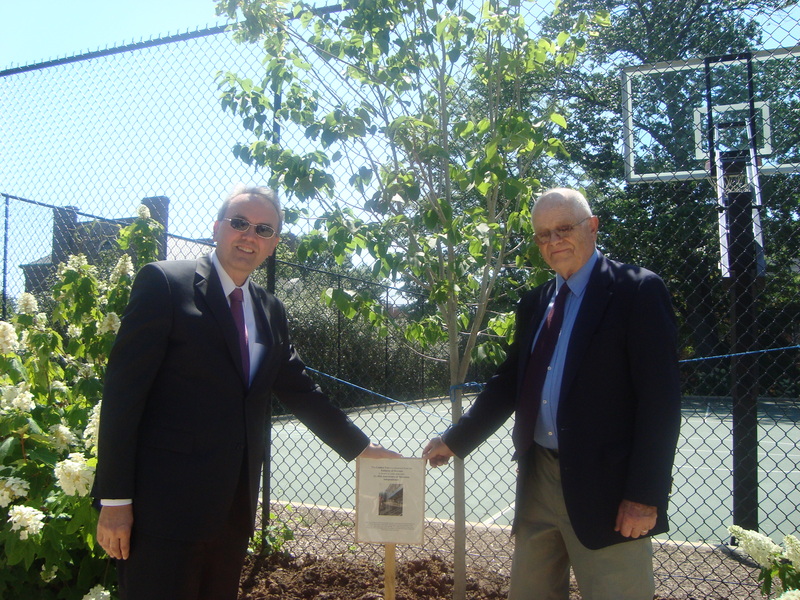 As part of the activities organized to commemorate the twentieth anniversary of the Slovenian declaration of independence, the Embassy of the Republic of Slovenia in Washington, DC, on Thursday, June 2, 2011. planted a Slovenian linden tree (Tilia cordata) in Mitchell Park (23rd and »S« Sts. NW) in the Kalorama area of the city. 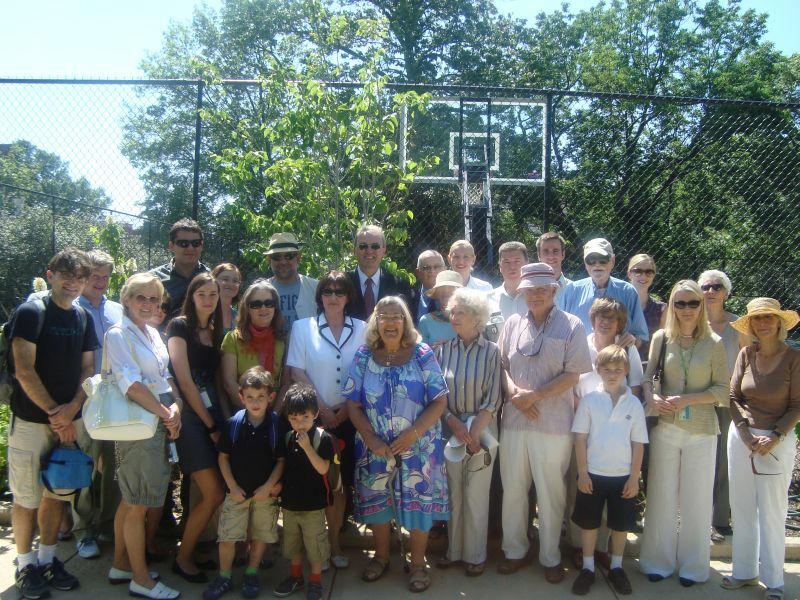 Beside the Slovenian Ambassador to the United States and Mexico, Mr. Roman Kirn, the Slovenian linden tree planting event was attended by UNESCO Goodwill Ambassador for Intercultural Dialogue Ms. Esther Coopersmith, Friends of Mitchell Park, Slovenian diplomats and others. Both the park and the Slovenian embassy are located in the same part of DC. In the desire not only to commemorate twenty years of Slovenian independence and the contribution of Slovenian green diplomacy to the greening of the planet during the Year of the Forests, the Slovenian embassy, with the planting of the linden tree in Mitchell park, also wants to strengthen the cooperation between the people living in the Kalorama area and the embassy. Mitchell Park is one of the nicest and cleanest parks in the area thanks to »Friends of Mitchell Park«, a group of twenty-some volunteers, who are maintaining the park. Slovenian linden tree planting in Mitchell Park is the first tree-planting event organized by the Embassy of the Republic of Slovenia in the United States. At the end of June, the Slovenian Ambassador Kirn will plant a linden tree also in Denver.As part of the activities organized to commemorate the twentieth anniversary of the Slovenian declaration of independence, the Embassy of the Republic of Slovenia in Washington, DC, on Thursday, June 2, 2011. planted a Slovenian linden tree (Tilia cordata) in Mitchell Park (23rd and »S« Sts. NW) in the Kalorama area of the city. Slovenian linden tree planting in Mitchell Park is the first tree-planting event organized by the Embassy of the Republic of Slovenia in the United States. 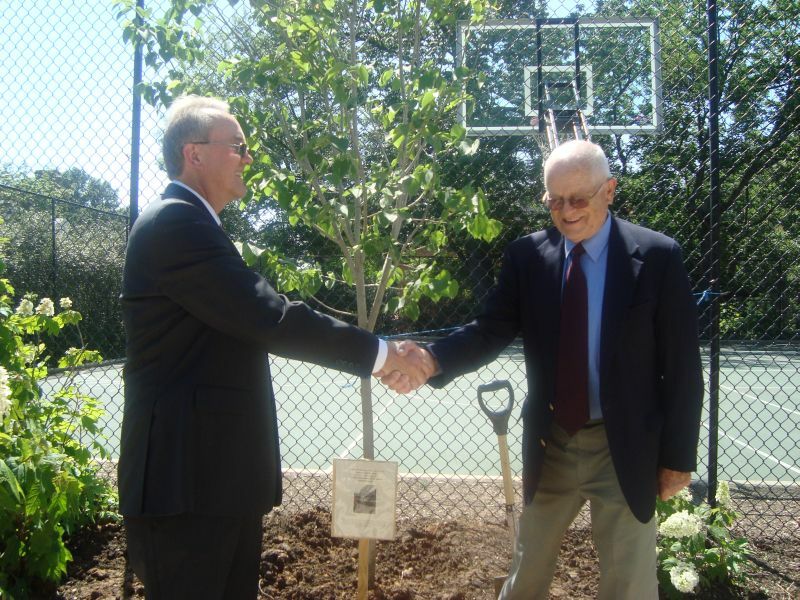 At the end of June, the Slovenian Ambassador Kirn will plant a linden tree also in Denver.